He must have been so hurt. 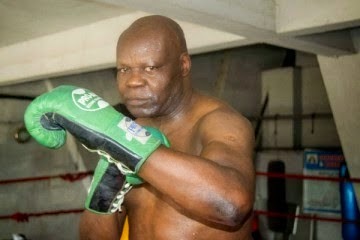 NAN is reporting that after Bash Ali and four other men were arrested at a bank premises last month in Abuja for trespassing and causing obstruction in public way, they were remanded in prison till their bail conditions would be met, but now that it has been met and Bash is now free to go, he has refused to leave the prison. Below is how NAN reports yesterday’s court hearing. A Wuse Zone 6 Senior Magistrates’ Court, Abuja on Wednesday fixed April 2 for hearing in the criminal case brought against Nigerian boxer, Bash Ali, and four other accused persons. Meanwhile Bash Ali has refused to leave jail despite meeting bail conditions. 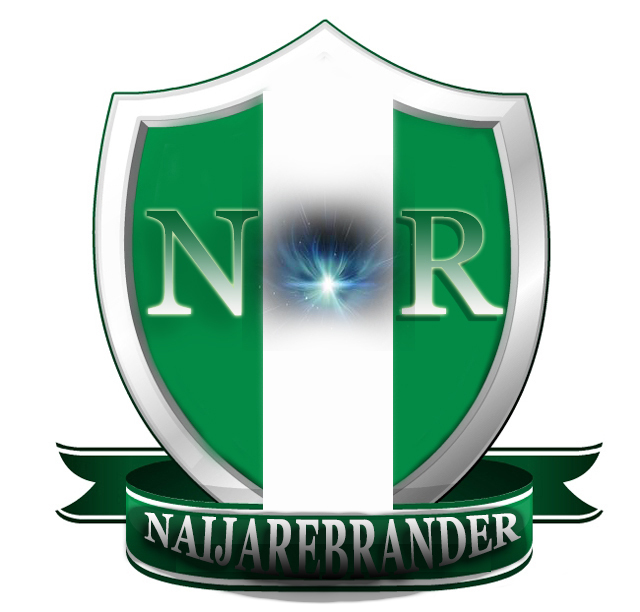 The four others are Gabriel Ikyowe; Timothy Ugbede; Daniel Otoski and Jones Ebele. They were arraigned by the police on Feb. 19 on a six-count charge of joint act of abetment, criminal trespass, and obstruction in public way. They were also charge with criminal trespass, causing obstruction in public way, wrongful restraint and criminal intimidation. The prosecuting police officer, Sgt. Bulus Samuel said the charges contravened the provisions of sections 79, 85, 348, 194, 256, and 397(b) of the Penal Code. When case was first mentioned on Feb. 19, all the accused persons pleaded not guilty to the charges. The Magistrate subsequently granted them bail in the sum of N1 million each with one surety each who must be a civil servant not below salary GL 10. According to the Magistrate, the sureties must be reliable, resident within the court jurisdiction and must swear an affidavit to substantiate reliable means of livelihood. Bello adjourned the matter for hearing to March 4, adding the sureties, who must be civil servants, must produce their first appointment letter and their last promotion letter. At the resumption of hearing on Wednesday, the Principal Witness 1, Mr Bisong Peter, told the court that he and some of NEXIM Bank workers were assaulted by the accused persons. Peter is the Chief Security Officer to NEXIM Bank. He said this under cross examination led by counsel to the accused persons, Mr Anthony Agbolahan. According to him, Ali, his colleagues and others now at large, disrupted NEXIM Bank operations by preventing workers and customers from entering the premises during their protest on Feb. 18. “Ali called himself a suicide bomber and claimed that he was coming to bomb the bank. “As a security agent, my colleagues and I have to be on alert. “They came on a protest carrying placard with all kinds of inscriptions against corruption; we stopped them but they were still able to gain entry into the premises. “When they were disturbing and making noise, we called the police who later came to our rescue. “Ali had visited NEXIM Bank several times but am not aware the purpose of his visits,’’ Peter said. He, however, said that during one of such visits, he had a meeting with the bank’s management and later left in anger”. Senior Magistrate, Habiba Bello, having listened to the parties adjourned the case till April 2 for continuation hearing.